For the first hundred years or so of their history, public libraries in Britain were built in an array of revivalist architectural styles. This backward-looking tradition was decisively broken in the long 1960s as many new libraries were erected up and down the country. In this new Routledge book, Alistair Black argues that the architectural modernism of the post-war years was symptomatic of the age's spirit of renewal. 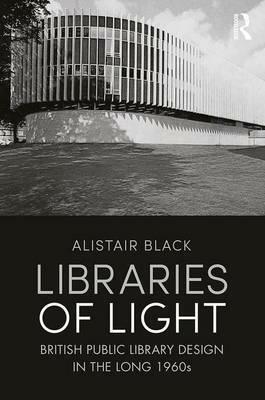 In the 1960s, public libraries truly became 'libraries of light', and Black further explains how this phrase not only describes the shining new library designs-with their open-plan, decluttered, Scandinavian-inspired interiors-but also serves as a metaphor for the public library's role as a beacon of social egalitarianism and cultural universalism. A sequel to Books, Buildings and Social Engineering (Ashgate, 2009), Black's new book takes his fascinating story of the design of British public libraries into the era of architectural modernism.